If you were paid $5,000 to quit your job, would you? You may have heard of the “Pay to Quit” program, innovated by Zappos and replicated by Amazon and others. There are variations, but basically employees are given the financial incentive to leave the company if it no longer feels like the place they should be. The underlying reason is pretty simple: unhappy employees make for unsuccessful companies. 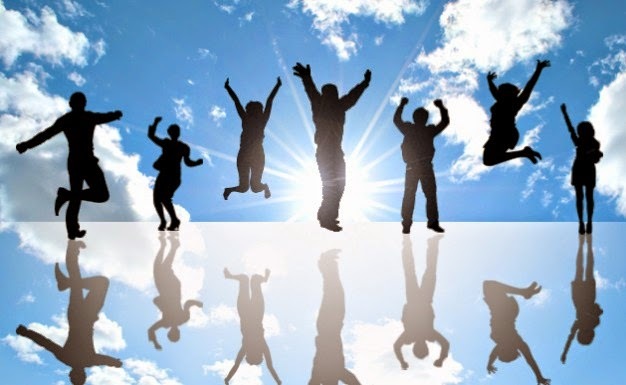 Whether it is Zappos, South West Airlines, or Amazon, organizational leaders are increasingly aware that if you treat your employees well--if they are engaged and connected to the mission--they will treat your customers well. Once a year at Amazon, front-line employees, whose jobs are anything but glamorous, get a chance to sit back, reflect, and choose whether to re-commit to the company and their colleagues. In a sense, Pay to Quit is an annual performance review of the company by its employees: Can I imagine not working in this department, with these people, for this company? It is they who are making the call, they who are choosing not to take the money and run — which creates a deeper sense of engagement and affiliation. The church we attended when we lived in Washington DC did a version of the same thing. There was no money involved, but “members” (those who committed to lead and serve in the church) were invited once a year to step back, reflect, and choose whether or not they wanted to re-commit to this role. Most did, but some did not, for a whole variety of reasons. Sometimes people knew that their work was going to take more of their time in a given year, or perhaps an aging parent needed increased attention. Commitment, passion, energy—this is what we want to bring to our work and to other roles. There are bad days at the office for any commitment we make. But deep down we want our efforts to have meaning. We want to be fully engaged, and whole-heartedly in. Whether or not there is money on the table, it is worth it now and then to reflect on whether or not our heart is in the things we do. How else will we know what matters to us? It is the season of celebrating Mothers! Earth Day and Mother’s Day happen within two weeks of each other and on these holy days, we’re invited to honor our Mother, both familial and Divine. 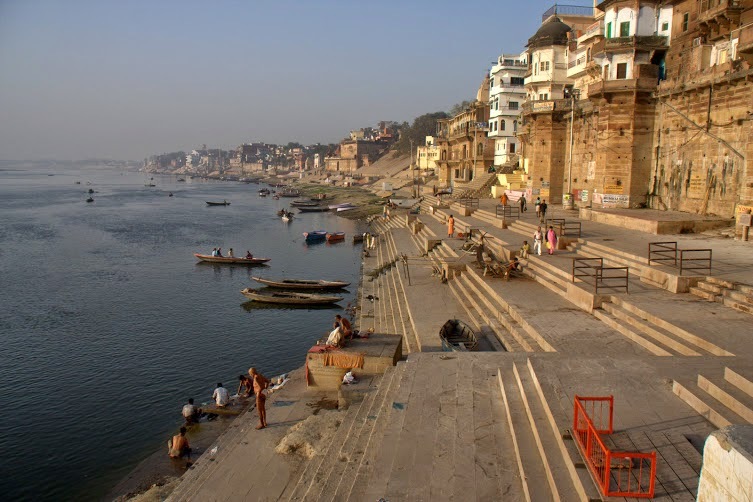 Years ago, while on pilgrimage in India, I watched from the banks of the Ganges River in the dimness of pre-dawn. 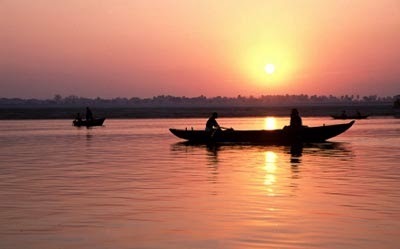 As the sun began to crest the horizon, men rowing their boats on the sacred water, began their morning cries, “Maha Deeeeeeeeeeeeeeeva!” Their bellowed wails stretched across the river and ricocheted on the ghats where I stood. “Maha Deeeeeeeeeeeeeeva!” (Great Mother! Almighty Mother!) Every morning was the same, calling the Mother and greeting a new day. Whether India or the Rocky Mountains, the sunset at night or the flowers in the neighbor’s yard, there are moments when the Mother’s beauty is so captivating, so (thankfully) overwhelming, that our love for Her just tumbles right out of us. Have you noticed? When, most recently, did you blurt out love for your Mother? Loving our Mother (and loving our Mothers), is a unifying, community-building practice. Let’s share our love for the Mother (and for our Mothers) this season. Our Mother gives us so much to be grateful for. Why contain it? Let it blurt! I’ve been thinking lately about what it means to be “at home” in our great, wide world, a rumination triggered by a small green, gray, and cream-colored frog that has appeared in my eastern Virginia backyard—in the doorway of a birdhouse. Re-appeared, I should say, for I saw it in the same place last spring. A year ago, however, I gave it little thought, assuming its birdhouse visitation a fluke, a one-time stop the frog was making on its way to whatever realms such frogs make their way to. It turns out I was wrong, as I am in so many of my assumptions. The frog is committed to living in the bird box (it probably overwintered there), and I am taking it seriously as a full-time fellow sojourner on this property where I also live. I have learned that it is a Cope’s Gray Tree Frog. Its scientific name is Hyla chrysoscelis, “hyla” being Greek for “belonging to the woods,” and “chrysoscelis” being a combination of Greek words for “gold” and “spot,” a reference to the marking on the frog’s inner thighs. I have been watching the frog a lot, partly because it seems surprising that a frog would take up residence in a bird house, and partly part because of how much it seems at home there. I might think it is out of place, but clearly it does not think so. Even last Wednesday when several hundred people came through the yard on a garden week tour—and at least several dozen of them went within five or six feet of the birdhouse to photograph the frog in the doorway—it seemed perfectly at ease, not doing anything to call attention to itself, such as calling or moving around, but also not shying away from the gaze and chatter of strangers. Oh, to be that centered, that calm, that much at home in my own skin! I don’t know if the frog has anything to teach me about how to do that. Its presence does however suggest something about the limits of labels. Simply calling a frog a “tree frog” does not limit it to living in trees. Simple giving it a scientific name suggesting that it belongs “in the woods” does not prevent it from living instead in a birdhouse in someone’s back yard. How wonderful that the frog is not bound by human-imposed labels. Can we humans say the same of ourselves? Over the years, each of us has likely acquired labels, some bestowed by other people, some adopted by our very own selves, and there is a good chance that some of those labels impose unnecessary limits on us, our lives, even our sense of well-being. Perhaps it is time to re-examine some of those labels. Perhaps doing so is a way to find ourselves truly at home in the world. May it be so.